It is so sad for me to admit, but I don't have the greatest eyebrows in the world! They are super light and fine and very sparse! 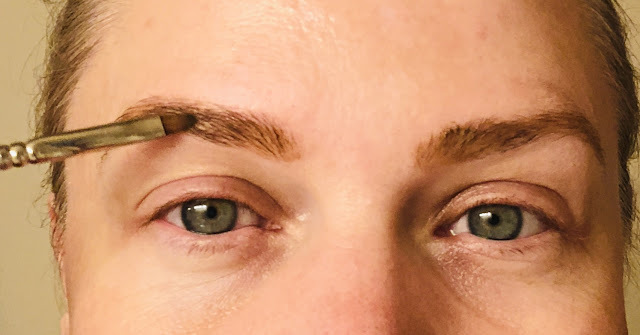 I won't leave the house without applying my DIY Long Wear Brow Wax. Sometimes I only have time to moisturize my skin and apply my brows, but I won't leave home without at least my eye brows done! See! I told you my eyebrows are almost non-existent! Here I am without a stitch of makeup on. 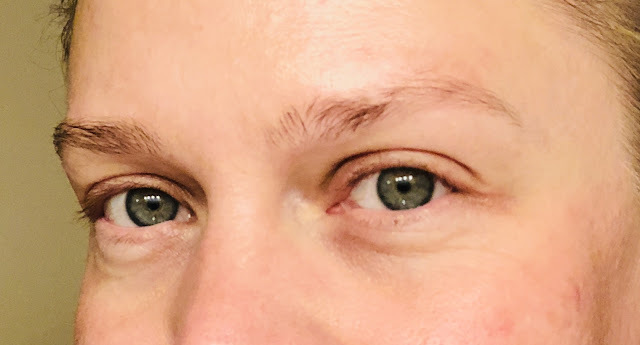 Here are my eyebrows after using my DIY Long Wear Brow Wax. Not only does it tint them a beautiful rich brown, it tames them too. My formula is very thick and waxy and stays put all day long. Place the beaker into a few inches of simmering water until fully melted. I have seen some DIY recipes that use only straight iron oxides like brown and/or black. I find this to be very boring and the product does not offer much depth. I like to use a base iron oxide such as brown and add in some sericite mica and a few pretty mica blends. 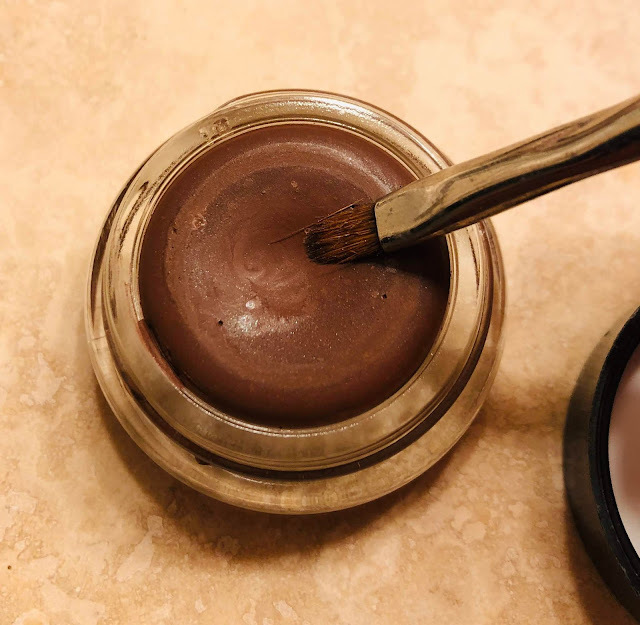 For my medium brown eye brow wax, I chose to use TKB Trading's Espresso, Moonstone Mica and Brown Oxide. You can shop HERE. You will need 1 gram of brown oxide, 0.3 grams of Espresso blend, 0.2 grams of Moonstone Mica blend and 0.2 grams of Sericite Mica. You will need to grind these together. I use this small grinder to fully grind the pigments. See how beautiful this color grind turned out! Once your wax mix is fully melted, turn off the heat but keep the beaker in the hot water. Add your color grind into the melted wax. Spend about 5 minutes to fully blend the pigment into the melted wax base. You want to make sure there are no clumps at the bottom. I like to use a small glass pot with a lid to store the eyebrow wax in. Carefully pour the hot wax into your container and allow to cool and harden at room temp. I use a small flat brush to apply to my eyebrows. Here it is swatched on my wrist in natural light. Super quick to apply and stays put all day long! For best results, clean your brush after each use.